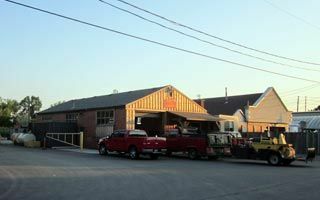 Formed in 1956, as one of only two paving companies in the area, the Ruddock Paving Company has worked hard to earn the trust and loyalty of its customers as asphalt pavers in Burlington. Now a 3rd generation family business, our clients recognize our commitment to deliver the highest quality work on schedule and within budget. Ruddock Paving Co. is an accredited business with the Better Business Bureau (BBB) since 1974, garnering an A+ rating, and is also a member of the Hamilton Construction Association, the Burlington Chamber of Commerce and the Federation of Independent Businesses. The company’s established reputation guarantees that you won’t get stuck with that fly-by-night construction company that’s nowhere to be seen when things go wrong. We believe repeat customers are the best gauge of quality and we stand behind the quality of our work for each and every job. We look forward to providing great service to our customers for many years to come. When you need asphalt pavers in Burlington, choose the name people trust. Choose Ruddock Paving Co!